What a night of glitz, glory, and gifting! 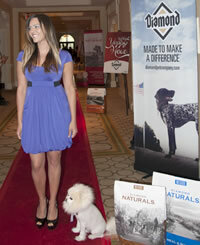 From the glam and glitter of the Red Carpet photo ops and Yappy Hour, sponsored by Diamond Pet Food, to the drama of the Nose-to-Nose Pet Blogging & Social Media Award ceremony (note: indexed video below) presented by Pet360, to the emotions of donating the K9 dog body armor … well, it was quite a night and an amazing wrapup to our BlogPaws Conference 2014. 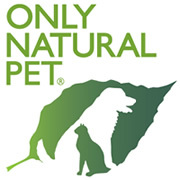 Thanks again to our Platinum Sponsor Only Natural Pet for providing 400 pounds of dog or cat food to be donated the EACH winner’s pet welfare organization of choice! 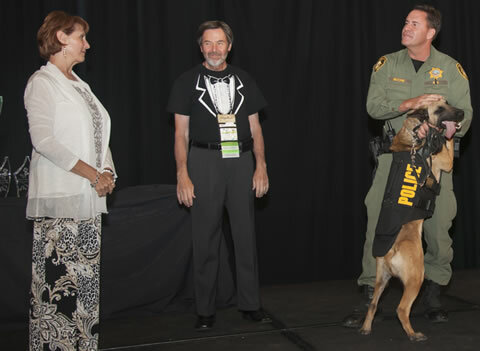 And also to Silver Sponsor AAHA (American Animal Hospital Association) for loaning us their CEO, Dr. Michael Cavanaugh to add his hilarious “Most Interesting Man” shtick as emcee. 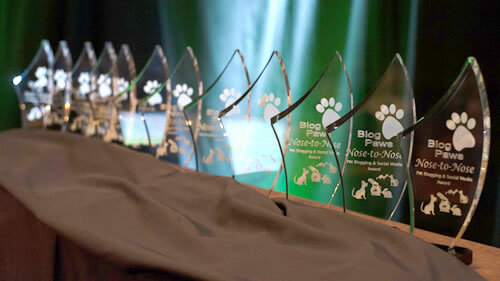 Scroll down to see the 2014 winners! This is a trimmed version of the live streamed video. Note: the index to this video on our YouTube channel has clickable links to the above times within the video.